It's now been over 3 months since the Great East Earthquake of March 11. Much relief work is now overlapped with rebuilding efforts. The nuclear situation has yet to come under total control while TEPCO (the managing company of the nuclear facility) and the government work out housing details and remuneration to those directly affected by the Fukushima reactor's meltdowns. Please see photos of the status of clean-up efforts here. Japan Assemblies of God churches and U.S. Assemblies of God missionaries continue to work together to reach out to those most affected by the disasters.In the city of Kooriyama, the largest number of evacuees remain in the evacuation shelter. (See the article.) Kooriyama Christ Church has been reaching out consistently to meet needs. The pastors started a non-profit organization in order to help whole families set up households. Most recently, our missionary fellowship has been able to use AGWM designated funds to provide bicycles for families with whom Kooriyama Christ Church's NPO has connections and has determined have a need for cheap transportation. In Higashi Matsushima, ongoing efforts to reach out to the community through clean-up and feedings continue. Teen Challenge Japan has been involved with Izumi Fukuin Christ Church cleaning a park. Now they are holding services in the park after handing out cooked meals. This is an amazing breakthrough because in the past Christianity was viewed as unnecessary and irrelevant to the Japanese people. But now they allow the pastor to pray for the meal and for them. In May a few teams came from the U.S. Convoy of Hope sent a couple to work with Assemblies of God churches in Kooriyama and in Higashi Matsushima. This week another couple will come to take their place. Also, this month two relief teams from the U.S. will arrive to help wherever they are needed. Please pray for these teams and for missionaries Shelley Carl and Bill and Carol Paris as they lead the teams. Pray for their safety, for favor, for divine encounters, and good communication with the church leaders and community. This summer Japan is saving electricity. In Japanese this is called "setsuden." 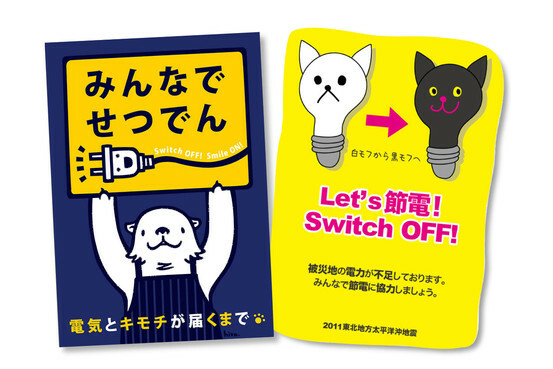 There are posters everywhere in stores, on the trains, in the stations, announcing the need to conserve energy. Here are some excerpts from the above online article. "(T)he government's decree to cut electricity by 15% starting July 1 in the Tokyo and Tohoku regions—or face blackouts—has been adopted widely." Japan's white collar business culture is typically formal in that men generally wear suits with ties and the women wear suits. However, in an effort conserve energy, business people are being urged to adopt "super cool biz" guidelines for casual and light business attire. For men, "(p)olo shirts, Aloha shirts, and sneakers are acceptable now under the environment ministry's relaxed guidelines. Jeans and sandals are okay too under certain circumstances." For women, "khakis, white pants and airy polyester dresses are all apparently acceptable."